Do you have more than one warehouse or physical store? Are you shipping from all of these locations? Well, you should be! Temando helps online retailers big and small manage multiple locations and streamline their entire fulfilment processes. Multi locations functionality is the ability to set up more than one sending location in your Magento store admin, whether this is from a warehouse, physical store location or a supplier. 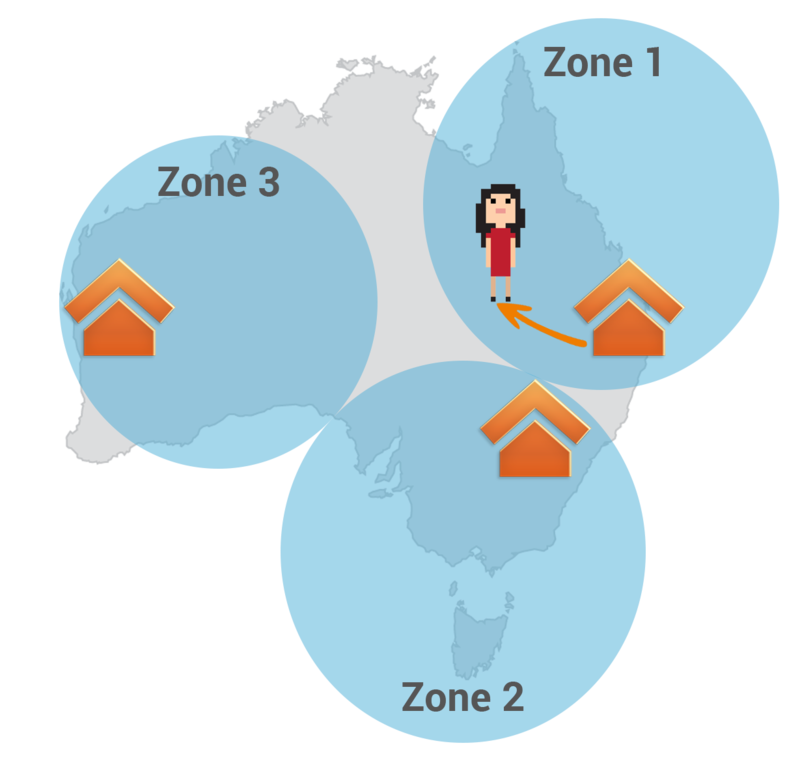 This gives you the ability to use your physical stores as fulfilment points, allowing you to send from different locations Australia wide. Let’s walk through the below example: If your customer is in country Queensland, fulfilling the order from your closest fulfilment point with inventory helps to decrease travel time, as well as the cost, compared to sending the item from a Sydney warehouse. You can now speed up delivery times and avoid unnecessary freight costs. It gets better – once you have your locations set up in your Magento store, you can also create some really smart rules. *We will look into creating shipping rules in our next 2 posts. Multi location functionality is available in the Temando Magento Shipping Extension for plans professional, business and enterprise solutions. Business and Enterprise gives you the extra flexibility of adding sub accounts to each of the locations. What’s a sub account and why would I need that? Sub accounts allow Temando to identify separate physical locations and bill accordingly. Some retailers prefer this to be transparent and separated-in a franchisee model for example. If you would like each location to be billed individually, but still have visibility over costs, this feature is perfect for you. There are 2 components of multiple locations that go hand in hand we call them zones and warehouses (don’t let the term warehouses confuse you, warehouses can be any fulfillment point i.e your store. We also refer to these warehouses as multi-location). A zone is an area within a country which any given warehouse delivers to, it’s specified by postal code ranges. For a PDF list of Post Codes from April 2014 download this document. You can view the most up to date post codes here. City: Suburb. This needs to be specific to the postcode. 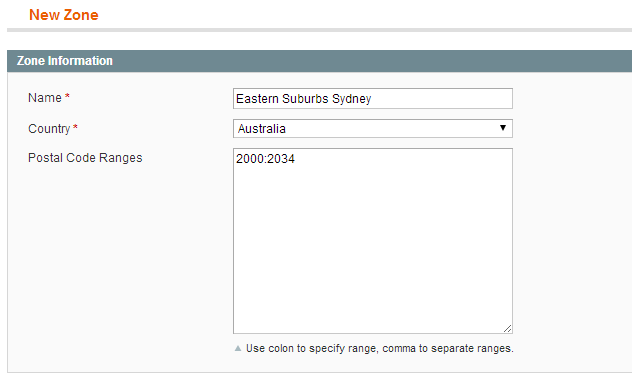 For example if the postcode is 2011 – it has to be Woolloomooloo, it cannot be the default of Sydney. Phone 2: Not mandatory but good to list. 7. Assign pre-created Magento users the ability to view assigned warehouse/locations. This is key when defining what login can see what orders. i.e. Queensland store when assigned here cannot see Victoria stores orders. Make sure you save your settings! Setting up zones and warehouses is the base for rules in the Temando Shipping Extension for Magento. It is important to define your shipping strategy and create zones and warehouses to align with this strategy. Our team is working hard on adding features to the Enterprise plan, multi-location inventory management being one. This will give you the ability to assign stock/SKUS to each location. Stay tuned for that future feature release! Next week we will start looking at setting basic rules in Magento.